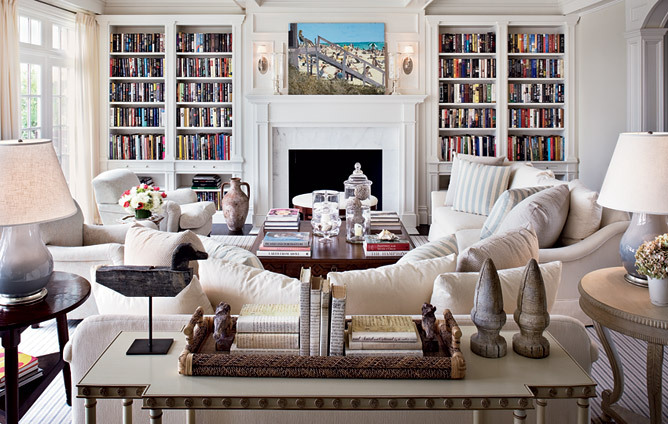 Featured in Architectural Digest (Dec 2010) this sophisticated home designed by Alexa Hampton is a world of white. Aside from being enormous, which rarely impresses me these days, this home has one of my favorite architectural elements, symmetry. The balance of windows, and built ins, and all the geometry create the ultimate feeling of calm and balance. The homeowner was aiming for understated, and though the sheer size and crispness of the home and it's furnishings makes a real statement, it does speak to the "peaceful, beautiful and colour-less" calm they were after. 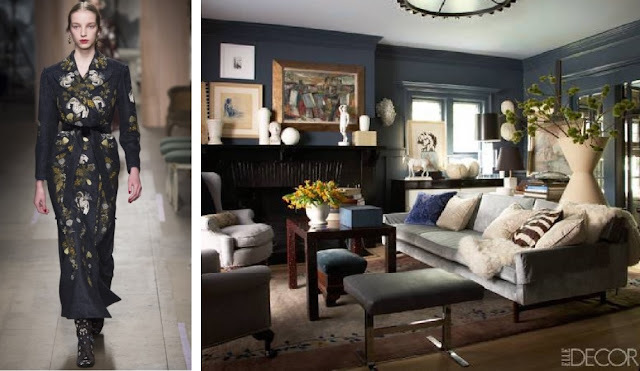 Alexa Hampton notes the importance of delineating furniture in all white spaces. It's the little details that make all the difference, the dark stain legs and the bottom of a sofa, studded trims, shape and silhouettes. A great tip for attempting the all white interior.